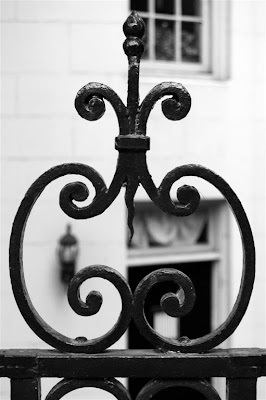 Decoration on an iron fence on Commonwealth Ave. Interesting photo. What is the building behind the fence? I believe it is a condo complex. It is very well maintained and quite elegant, as you can tell by the ironwork on the fence around the property.